I had high expectations for this album, and Jay-Z has delivered. 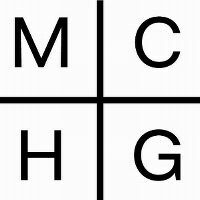 "Magna Carta... Holy Grail" shows how Jay-Z is a consistent Hip-Hop artist who is in fact getting better as time goes by - one up from "The Blueprint 3". Whilst this album might not be as raw and aggressive as his previous albums (and Kanye West's "Yeezus"), it is more assiduous and sophisticated, and to an extent, more mainstream. 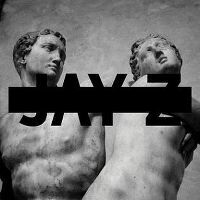 It is also evident that in parts of this album, Jay-Z is more experimental in the production and music despite holding to a solid hip-hop base. What I observed from listening to this album was many themes and contexts discussed in Jay-Z's rapping. The dominant theme being success. What the album as a whole is trying to achieve is Jay-Z's rise to the top - how he got there, the struggles he faced along the way, how he is not perfect. The only problem though is that he goes slight over the top and comes off as being a bit cocky. That's just my faint opinion though. The album also mentions "Family", "Class", "Wealth", "Conflict", and "Relationships"
The production of this album isn't amazing, but it is solid. I guess it depends on the way you listen to the album. As previously mentioned, this production is somewhat experimental, though not to the extent of his previous albums. I like the production, though some of the beats have been heard before. All in all, I think this album is a solid return from Jay-Z. Though none of the tracks have a legendary status, they, as a whole, fit together. A combination of good rapping, good production, and good songwriting provides for a great listen all round. Hip-hop fans should be pleased. dieses album ist eines der schwächsten von jay-z, wenn nicht sogar das schlechteste. ganz klar natürlich auch das überproduzierteste. kein plan, was er sich dabei gedacht hat, diese klangexperimente zu veröffentlichen. naja, kein wunder wenn man sich timbaland holt, der schreibt halt auch seit jahren keine hits mehr...mir gefällt eigentlich nur "picasso baby". die single mit justin timberlake ist langweilig, und die sonst so hitverdächtige single mit seiner ehefrau beyoncé, ebenfalls. ich bin für ein weiteres album von jay-z und kanye west. das war super!